The female Saw-whet Owl in the photo above, was admitted in critical condition. The weekend was rocky for this tiny owl, but she is doing much better this morning. We are optimistic for a full recovery. Readers ask what causes an otherwise healthy owl to starve when there are plenty of mice around to eat. The answer in many cases is many of the birds migrating through the State Of Wisconsin are from Canada. By the time they reach Wisconsin they have already had a long journey. Many have used up their fat stores. Storms and strong winds complicate migration causing the birds to use more calories to survive extreme weather. It is harder to find food during difficult weather conditions as well. 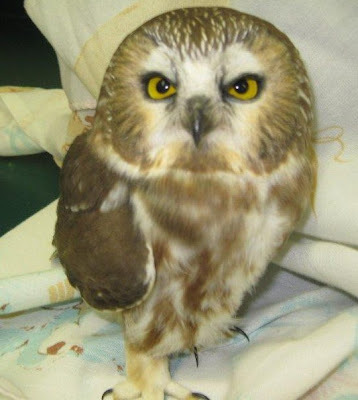 Our Saw-whet patient likely came through Hawk Ridge located in Duluth, MN. It is on one of the major flyways from Canada and a stellar place to watch the migration. Many thanks to Dave and Judy Marshall from transporting the little tyke to REGI from WI Rapids. We have exciting news on the Common Loon patients that have been with us for several weeks. They are both doing well. Both are gaining weight and while they continue to be tube fed to augment the calorie intake they are ready to be fishing on their own again. Their stories are in the blog a few weeks ago, but the loon with the fish hook is doing spectacularly! No one could have predicted this case would end up so wonderfully. She is having another x-ray this afternoon. That will be her last check before she sees the warm water of the Gulf of Mexico. 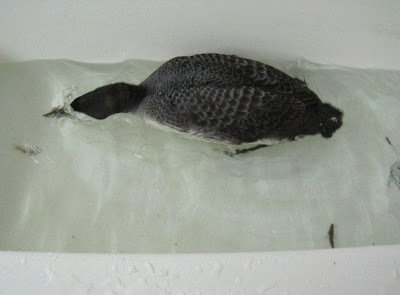 The other loon that came in with poisoning continues to improve daily and is also making great strides. Now we just hope the Gulf of Mexico is healthy for them. A generous company from Wausau, WI has offered to transport the loons for us to Florida. We are so grateful! It was a beautiful weekend. The sun was shining and weather was warm at least in terms of what we in Northern WI are accustom to in November. We were able to continue winterizing cages, transfer more fragile species to heated areas and prepare the natural areas with wind protection. At any given time we can have up to 100 patients in the winter season as well as our education birds. There is a lot of preparation to be done. Careful attention is give to each bird, taking into consideration its disability or condition. 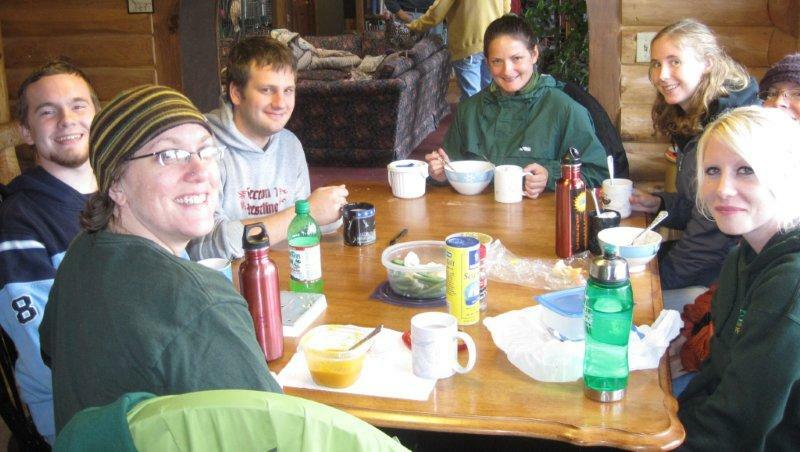 The UWSP Environmental Education Club volunteered on Sunday. A big thank you to Marie Fargo, Meaghen Leatherbury, Jenn Lempa and Brandon Carmichael for their help.